Autumn has finally settled into the metro and the Royals are WINNING in the playoffs – could we ask for anything more on this early October morning?! From the crisp air to the falling leaves, there are many reasons to love this season and living in Kansas City makes this Fall even better. 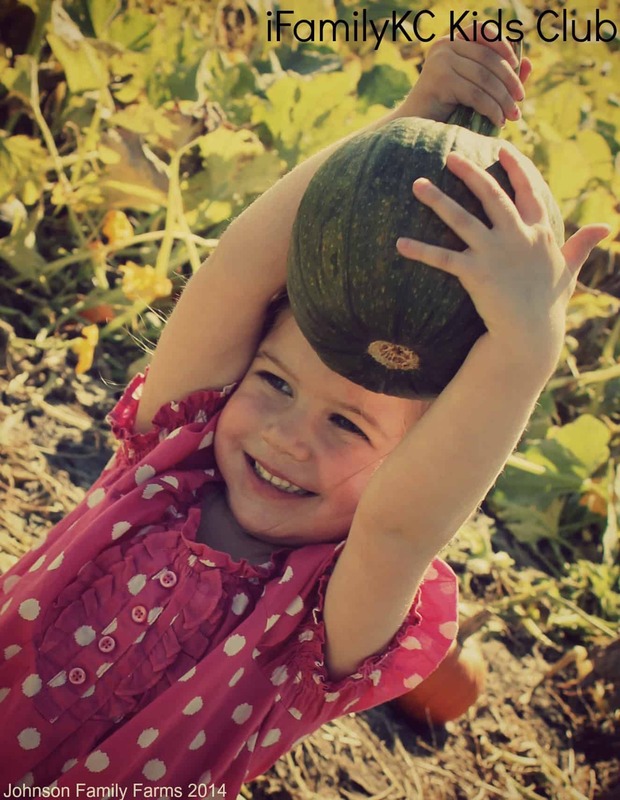 One of the things I love most about Autumn is the opportunity to take my family to the pumpkin patch. There’s something about spending time on a farm that just speaks to your soul and I can’t wait to enjoy this season with my own family at Johnson Family Farms right here in Kansas City. 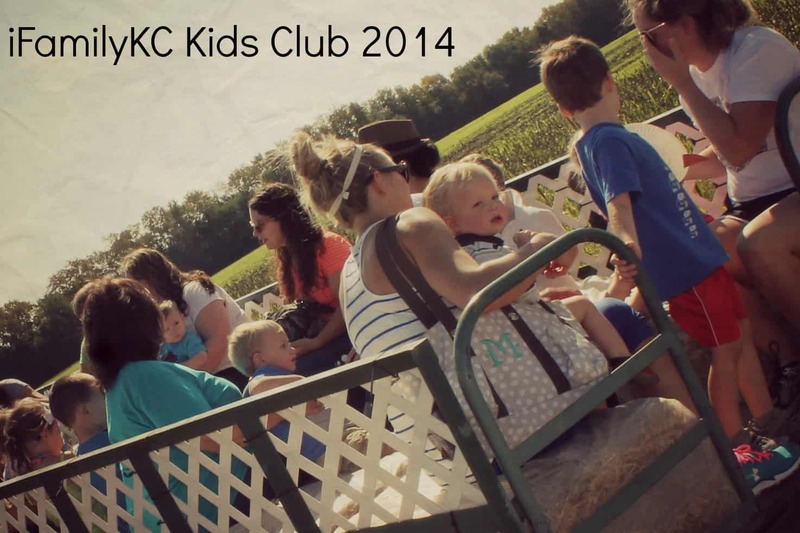 As you know, iFamilyKC hosted one of our monthly Kids Club Events at the beautiful Johnson Family Farms earlier this week where we enjoyed spending time with the animals in the farm animal corral, going on a wagon ride to pick out pumpkins, and playing in the giant tunnel crawl. Our morning at the farm gave me a greater appreciation not only for the incredible family friendly activities that are available to us right here in our own backyard but also for the hard work and dedication of farmers, like the Johnsons, who work hard to grow amazing crops each year. Our morning at the farm started off decorating paper plate pumpkins (which would later be among the first decorations up in our house for the season). While my daughter was creating her very own mini-masterpiece, I had the chance to peek around at the unbelievable selection of seasonal vegetables and plants available for purchase directly from Johnson Family Farms. The next stop on our Kids Club adventure took us through the Farm Animal Corral where we were able to peek in on the lives of some incredible animals including newborn baby pigs. 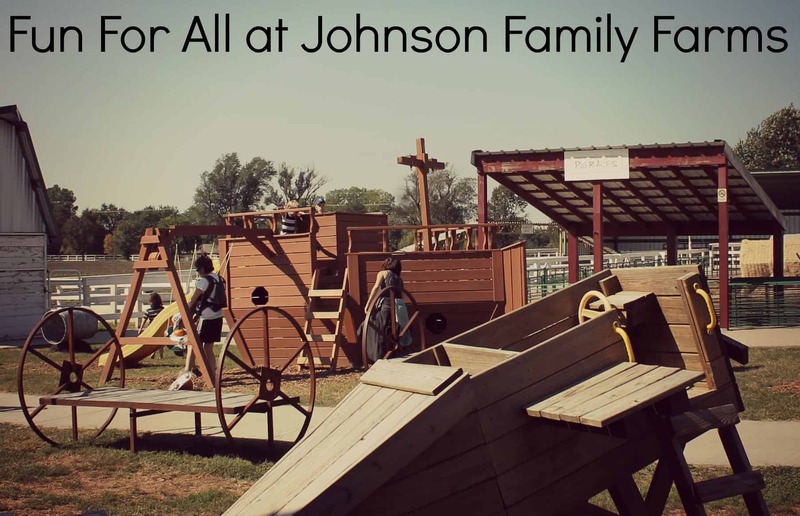 As a parent and an avid reader, I appreciate the small, intentional, details that the Johnson family has put into making their farm such a special place for families. I couldn’t help but smile when I noticed the attribute to “The Three Little Pigs”. Note that none of the pigs are spending time in the straw house- smart little pigs. 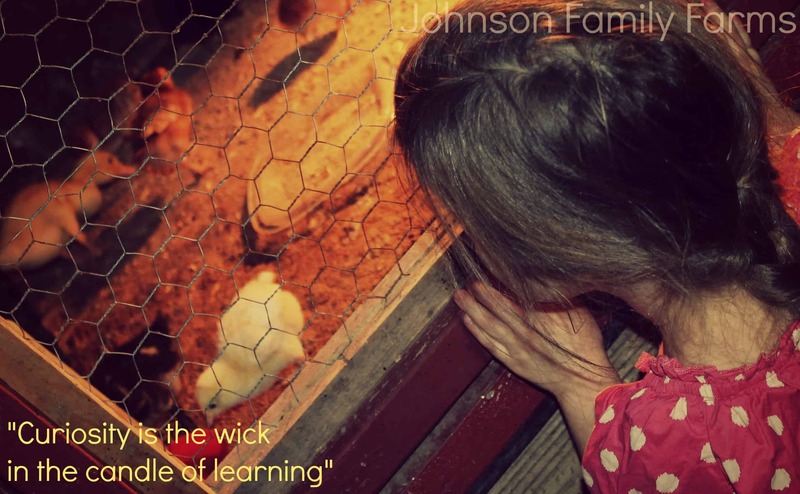 Watching my almost four year old daughter as she watched, with such beautiful curiosity, the baby chicks and ducks was easily the highlight of my time at Johnson Family Farms. 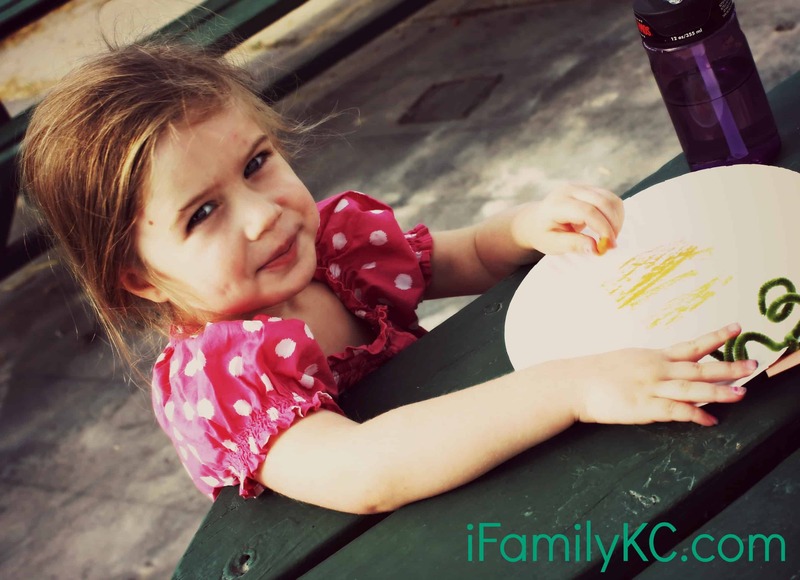 As a parent, I loved that there was a learning opportunity available to her in the animal corral and she enjoyed spending time with some pretty amazing creatures that she doesn’t normally interact with in a normal day. After enjoying time out in the fields, we headed back over to the expansive play area available with admission to the farm. 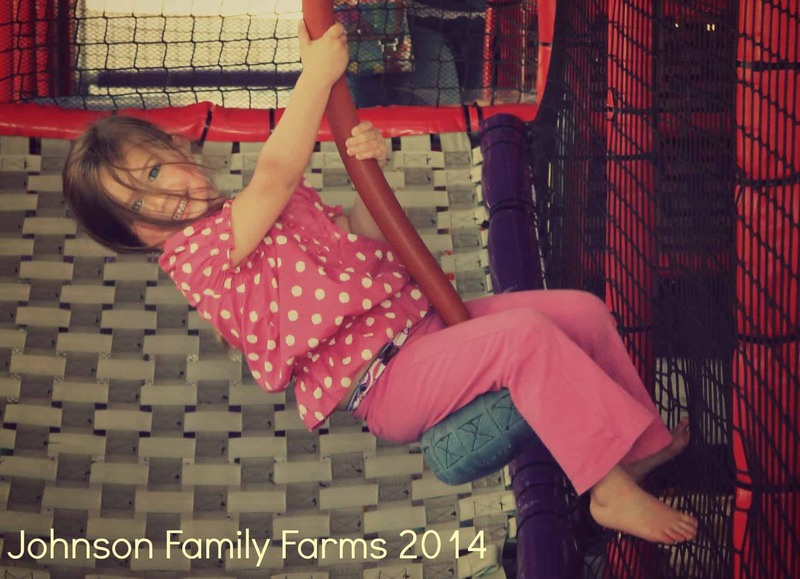 From Fort Johnson to the bus preschool zone, there is something to enjoy for children of all ages at Johnson Family Farms and it’s the driving force for my family to consider a season pass to the farm (my child has been begging to go back since we left). We headed home shortly before lunchtime (thankfully my daughter still naps from time to time) but I noticed several guests enjoying lunch before leaving the farm. 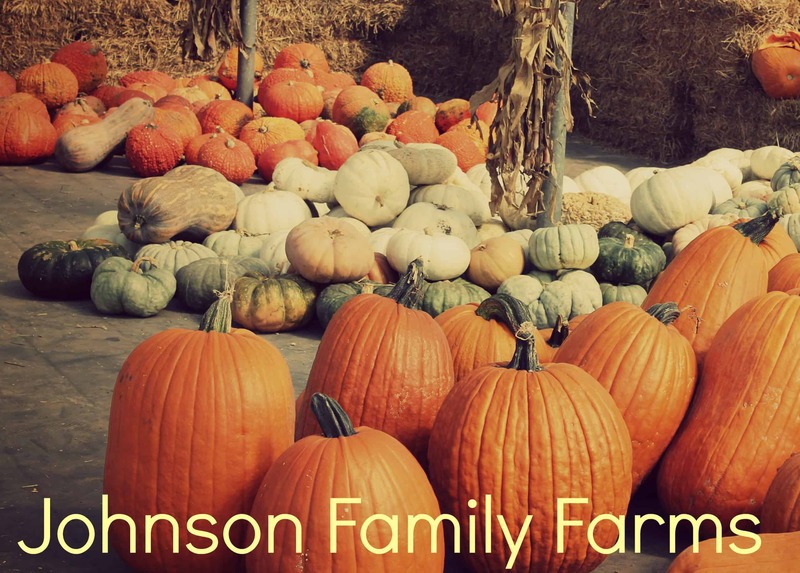 Johnson Family Farms has a great menu offering snack foods and lunch items. 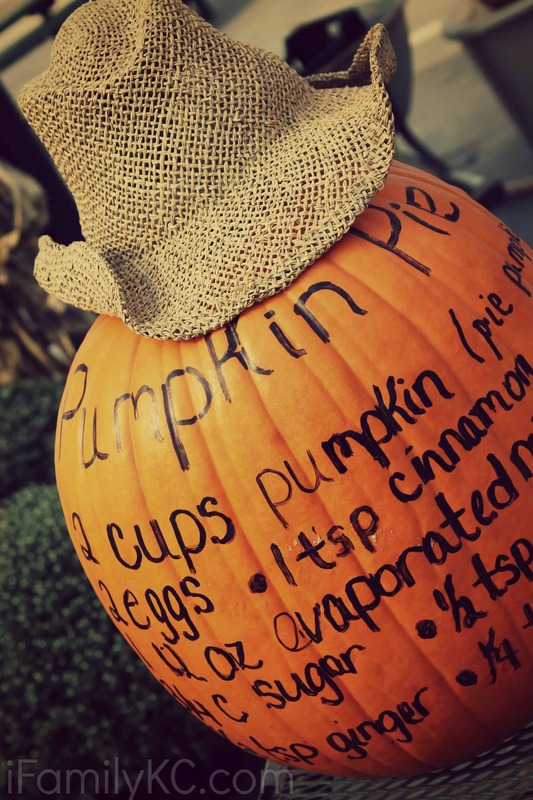 This Autumn, they’re also offering pumpkin spice donuts and apple cider slushes. 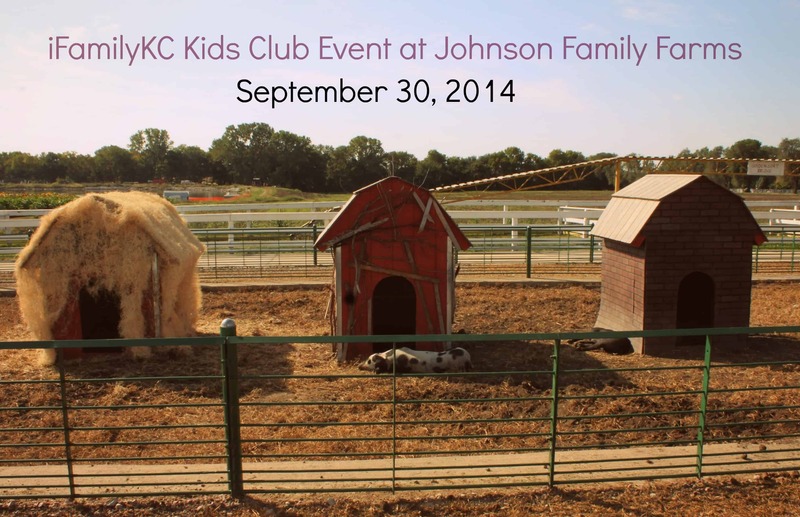 A little birdie told me that iFamilyKC readers can get a free dozen donuts with admission to Johnson Family Farms this year. 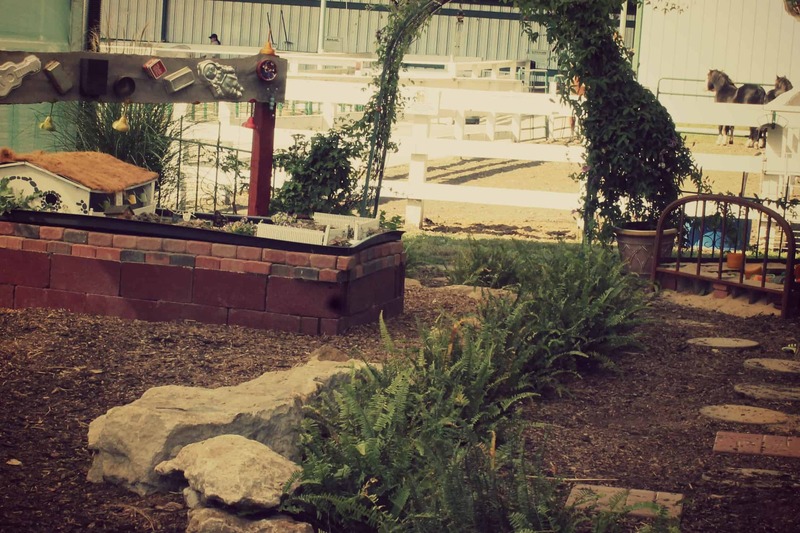 We had such a great time at Johnson Family Farms that I can’t wait to go back. 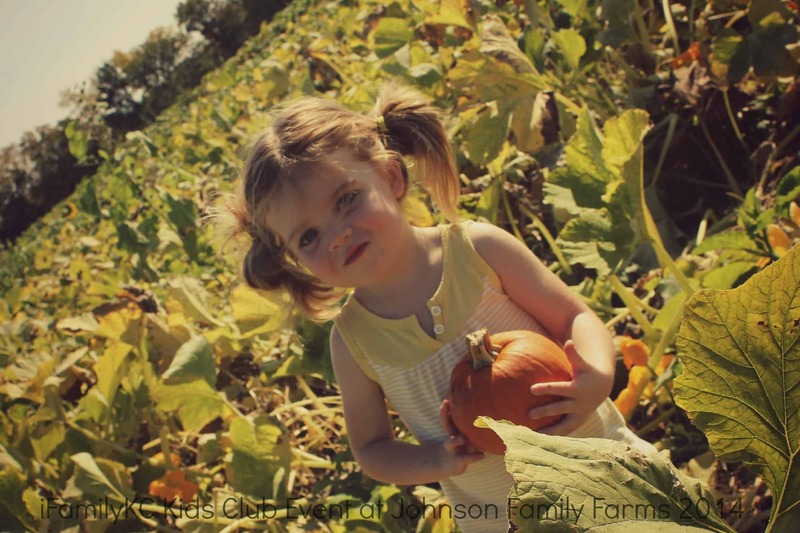 To learn more about the farm or their family friendly activities that are available to you this season, visit them online. 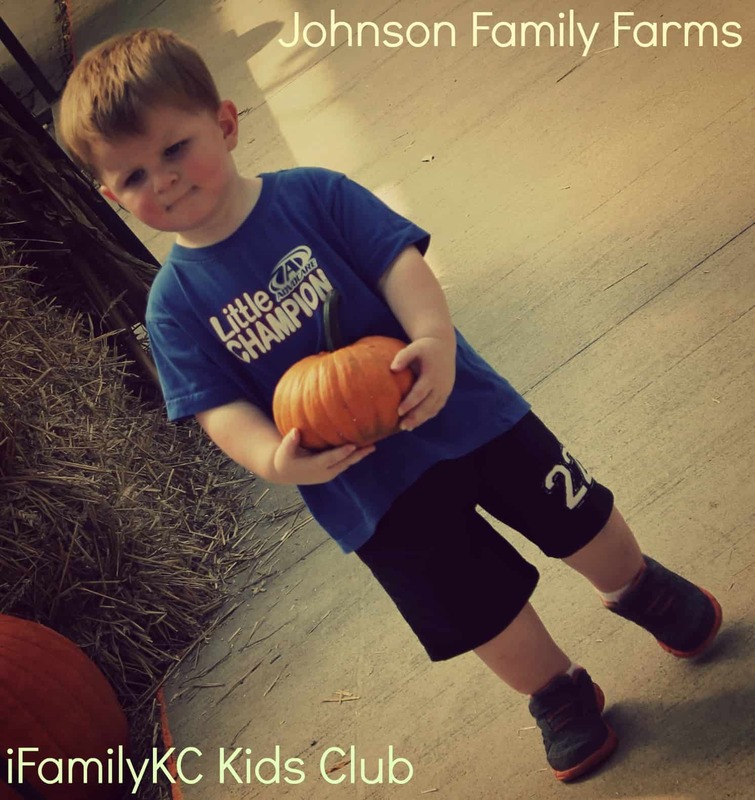 Fore more pictures from the iFamilyKC Kids Club event at Johnson Family Farms, connect with us on Facebook.